I get the impression that the Mt Roskill by election is not going well for National. The seat should be in play. Last election Labour lost the party vote to National by 2,200. Sure Goff won the electorate vote by over 8,000 but this was based on extended service to the local people over many years and loyalty felt by locals for their long term representative. But National has run such a mean spirited negative shambolic campaign that its chances must be slipping. There was the incident where Parmjeet Parmar’s husband abused Labour candidate Michael Wood’s wife publicly at a campaign meeting and National Party operatives then tried to accuse Wood of committing an assault which video evidence clearly showed did not occur. Then there were the school visits where National wanted to parade Key and Parmar around a couple of Mt Roskill schools. The problem was however that National’s research for the visit was that poor it did not pick up that Wood was the chair of the board of trustees for one of the schools. His request for a meeting with them so they could explain the cut in operational budgets for local schools was declined. Since then Key has gone missing and is nowhere to be seen. Contrary to previous practice the billboards do not feature him and have Parmar’s face only on them. And this recent mass mailout was signed by party president Peter Goodfellow and did not mention Key once. Something strange is going on. It looks like Key does not want to have anything to do with Parmjeet’s campaign and just like in Melissa Lee’s Mt Albert campaign in 2009 is distancing himself from it. This person is dangerous and has no knowledge of the issues in the area. When I attended an education debate and asked a question about the Living Wage for school support staff, her only response was one of put down and sarcasm. Her response had the meeting in uproar when she told me to go earn a dollar, as she knows how to. Then she finished it off by saying that the Living Wage should be $50. She obviously knows nothing about how the figure is reached every year. Ensure every Mt Roskill voter has their say! they have utter contempt for anyone working for a living you were right to say her answer was an insult and like you i will never vote for national utterly horrible people selfish greedy to the bone. I guess the Nat party’s problem here compared with Northland is that she will continue to be a List MP after losing the electorate race, just with a tarnished reputation. No wonder we’re not seeing the PM cosying up in public. What …. you mean like this ? No wonder Key wont- even his failed campaign manager got a taste of it ! Bloody good job and all !!! I have another interpretation that bodes very well for Labour in the election next year. Possibly some internal National party polling shows that John Key’s name and face is have the opposite effect of what it used to and is actually causing people to turn-off national. So the only response is to take his name and face off the billboards etc. Obviously this would not be happening everywhere but if it was occurring in a few key areas it could change the election. It definitely is in my home town where Key’s name is synonymous with dirt. The interesting thing is that it wouldn’t even have to turn people towards Labour, just turn them off national. Then Key becomes the H.Clinton of NZ politics. I don’t think Key wants to have too many photo ops with the changing face of Auckland and globalism which he wants to hide from his National supporters. He has got 70,000 plus net immigration this year, most of it Auckland, but clearly doesn’t want to be associated in photo ops with the reality of what that means. I love this one: Nationals’ comprehensive housing plan… leaning against a door staring into space. yes, that H. Clinton that won about 2 million more votes that the orange hued turd that is gonna bring change. Sadly sadly, we don’t have an electoral college here. Right ? Right? I don’t think John Key was alongside her to abandon her. I don’t think the Nats see Mt Roskill as winnable and Key does not stand alongside losers. He didnt want to be seen with losers…. but then ,…. why does he still hang around on the top floor of the Beehive with all the rest of his loser core members,… ? Did anyone catch the interview between her and Wood on the Nation in the weekend? Wood cleaned the floor with her and we all know Lisa Owen is no pushover as an interviewer. She seems awfully uncomfortable when sitting, even when relying on talking points and memes: Small businesses, small businesses. 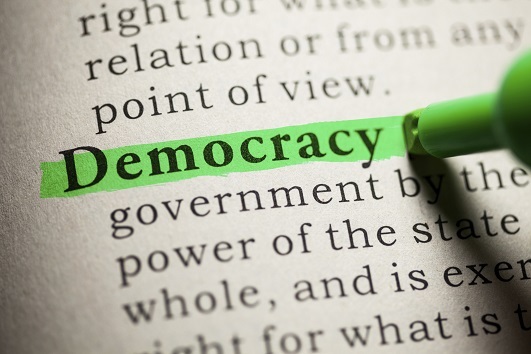 Goodness, Mickey S – if you are seeing trouble with the Nats, then that could be something quite deep-seated – because apparently they were in a shambles during the Auckland City elections as well. Christine Fletcher commented on it, publicly – which is not something she usually does. In which case, folks, watch out for an even nastier election campaign than we’re expecting! Would you like to elaborate peterh or better still provide a link so we know what you’re talking about? I can’t think of any recent event of national significance that may have required the Prime Ministers undivided attention. I also cannot think of any international developments that might have called upon the PM’s time, or commitments to attend to on behalf of our country. No, if he was as focused on the good of our country as his political opponents then the only thing that ought to matter to him is a by-election in a seat already held by Labour less than a year out from the general election. I’m sure that voters will see his non-attendance to shake hands and smile as the slap in the face it is no doubt intended to be. Neither of those two events stop the marketing decisions which would have been put in place weeks ago. I know a sparky who is a lazy arsed prick that decided to pack in the trade and attempt some hare brained money making schemes, because he was allergic to an honest day’s work. He was supported by sending his wife out to work while he slept all day and did nothing to help with the kids. One of their schemes went bankrupt and they ripped off a few hard working tradies by tens of thousands of dollars. So they pissed off to a small town. His latest scheme is to join the National Party and try to get into Parliament on a fat MP’s salary. This is the quality of candidates running for the Gnats. Save I thought HE was God ! God has had to move from social services to a business model to fit in with the Global Fascist Post Truth times. I know a former union official who is reported to have deliberately racked up $150k in unpaid tax and who became a close advisor to two Labour leaders. Such is the quality of Labour party employees. I raise you a working hard for his constituents Taito. We don’t allow people to be ‘outed’ by others unless they have already outed themselves. CV did that a few years ago. Stop lying inspider Labour would never support such corrupt and illegal practices. Next you’ll be suggesting that the Labour party would support MP’s on Corruption and Bribery charges or like to employ swiss balls when entertaining underage guests. Expels/hires. One or the other. 11 million dollar bribe to a Saudi businessman. FFS mate. Inspider, I know a former Mayor and now National List MP for West Coast/Tasman whom was involved in a huge conflict of interest involving her re a helicopter company. Westland under Pughs term started with $7m of debt and ended up with $15.4m of debt. Perhaps the billboards could feature John Key the local jazz musician instead. Perhaps Key is playing the `long game’. Letting Labour retain the seat with another Union lackey which will move the party even further left than it is now therefore giving it no hope in 2017. Is that a way of saying Parmjeet Parmar is totally dispensable and not worthy of support? It’s called having your cake and eating it. Throw a bone at the local National party donors and get opposition talent into parliament. Good for Labour too. Amateur hour with Parmjeet anyone ? Anyone think that the Natz are wondering if inequality actually means something to them at the Ballot Box??? Take the blinkers off guys . Parmjeet will be the next elected MP for Mount Roskill. What intrigues me is what Dr Parmjeet Parmar has listed in her biography and what she has not. It also intrigues me that Dr Parmar does not seem to have a LinkedIn profile. Hard to glam up running a family lolly business. Perhaps, and I am speaking facetiously here, we should compliment Parmjeet Parmar and her husband as to giving us a glimpse of how a political party SHOULD NEVER BEHAVE. Every time a National MP disparages an Opposition MP or their Party they(the National MP)are showing to the world a Party(that they are representatives of)that is fast gaining a bad reputation. And so the Parmars actions at a recent meeting was rude, inconsiderate and juvenille. 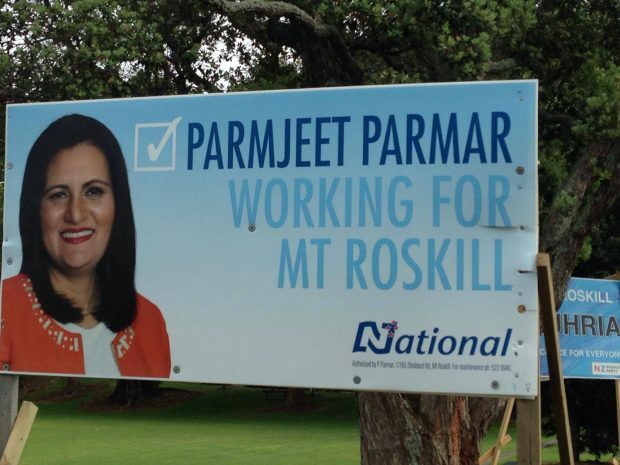 If Mrs Parmar has that ‘I am more holier than you…’ attitude to people in the Mt Roskill electorate then no wonder no-one likes her. One cannot carry on with such disdain to others and arrogance. I do hope the Parmars have heard about Karmic Payback. Because it’s about time Karmic Payback hit them where it hurts the National Party i.e NO VOTES.